This post probably seems like deja vu right? Yes! 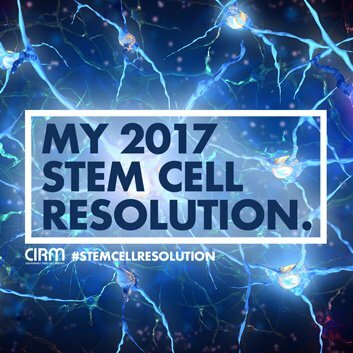 I know I’ve already told you all about my Science New Years Resolutions, but a campaign set up by this month’s Scientist in the Spotlight Karen R aimed to raise the awareness of stem cell research is challenging scientists and the public to make a #StemCellResolution for 2017. On another note – #SciParty is a science discussion on Twitter that happens every Friday at 6pm GMT. There are a heap of different topics talked about like climate change, to stem cells, to organs-on-a-chip! Today’s is about animal biotechnology so come and join us! So, if you fancy learning a bit of science every Friday – follow or join in the chat on Twitter! You should definitely check it out! So as for my Stem Cell Resolution – I couldnt decide on one so instead I’ve made 4! Oops! 1. I want to raise awareness that stem cell biology is as important as stem cell treatments! There is lots of hype over stem cell treatments across the globe, but I want to stress that there are only a handful that have actually been approved! I could very well be biased as I’m studying stem cells and their biological mechanisms that exist normally in our bodies – but I want to stress the importance of this work. Simple biology – as I think it will hold the key to all the future stem cell medicine! Once we know how stem cells work in our bodies we can exploit that to make the treatments, or even learn more about our normal development! 2. I want to get involved in more scicomm activities and public engagement and spread the stem cell word! I feel I’m making head way on this one as I’m on my way to becoming a STEM ambassador and I am now trained to do ‘Meet the Scientist’ sessions, which I am very excited to get involved with and get teaching about stem cells. I am also part of the Pint of Science team for Southampton. Watch this space for more updates on that event soon! But I want to do something a bit bigger than just talking to school kids or other scientists through my blog. What that is currently I am not sure – whether it is a story book or a Q&A platform that gets the public more actively engaged and communicating with stem cell researchers – I’m sure I will have that light bulb moment soon! Just something do teach and inspire people so they can make their own informed and intelligent decisions and opinions about stem cells and the promise that they hold for our futures! 3. I want to get my first stem cell publication out! This year is going to be the year I publish my embryonic stem cell research. And hopefully publish on cancer stem cells too. Fingers crossed! 4. Finally – I simply want to continue to love and enjoy studying these incredible cells that are stem cells and uncovering their secrets! But you need to be quick – all resolutions need to be made by 31st January!! Read more about this campaign here. Show us why you are going to support stem cell research in 2017! Please don’t forget to keep up to date on all my new blog posts and more! Find me and Soph talks Science on Facebook, Twitter and Instagram. Pingback: Science. Keeping it in the family. | Soph talks science!